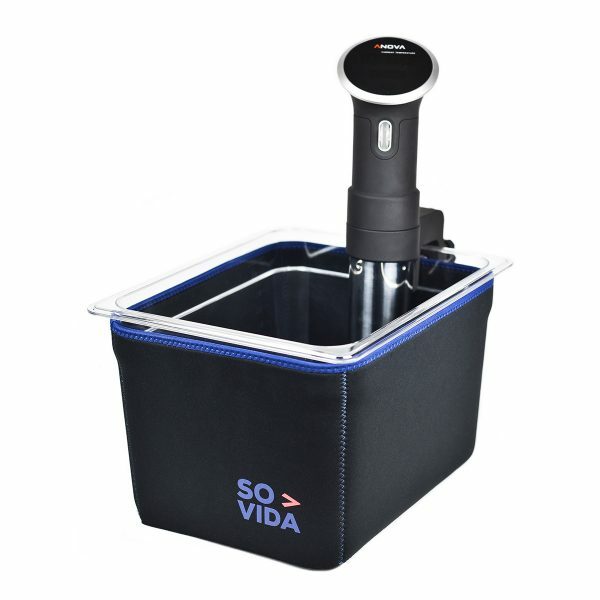 Do you want to save electricity whilst Sous-Vide cooking? 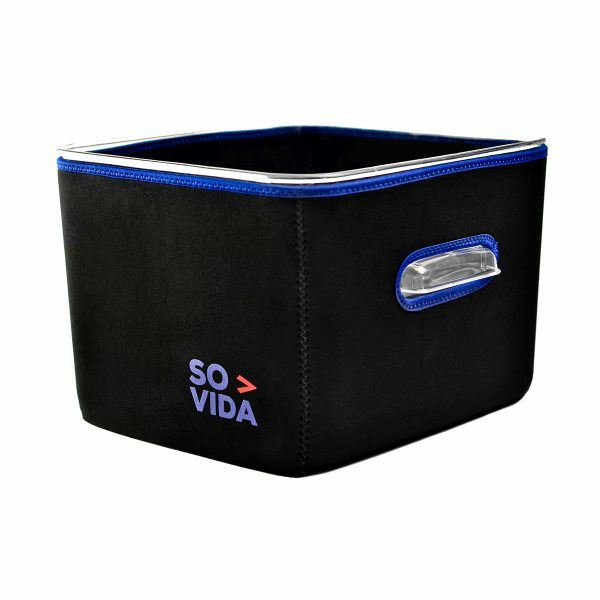 Our Sous-Vide Sleeve for the Rubbermaid 18 Quart container uses 5mm neoprene (wetsuit material) to improve insulation and lower your bills. 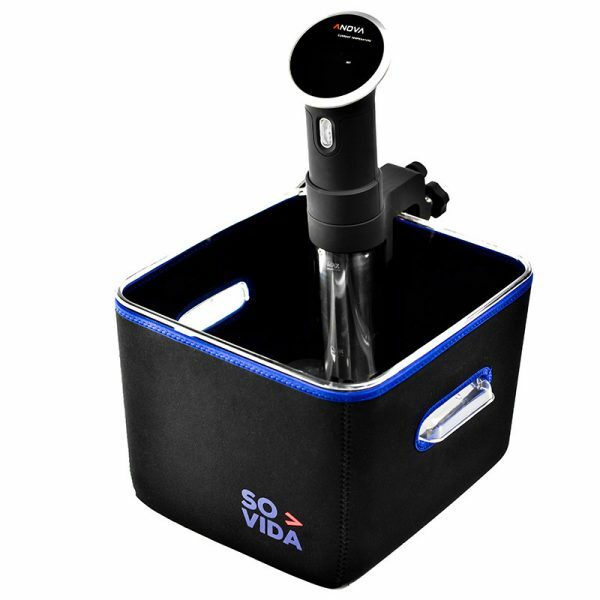 Are you worried about damaging your work surfaces due to the prolonged heat from Sous-Vide cooking? 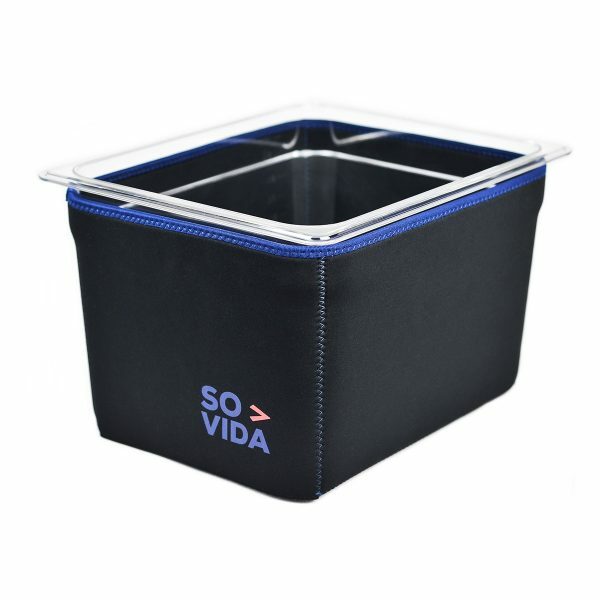 Our Sous-Vide Sleeve insulates the base of the container to reduce heat loss through the base and protect your work surface. 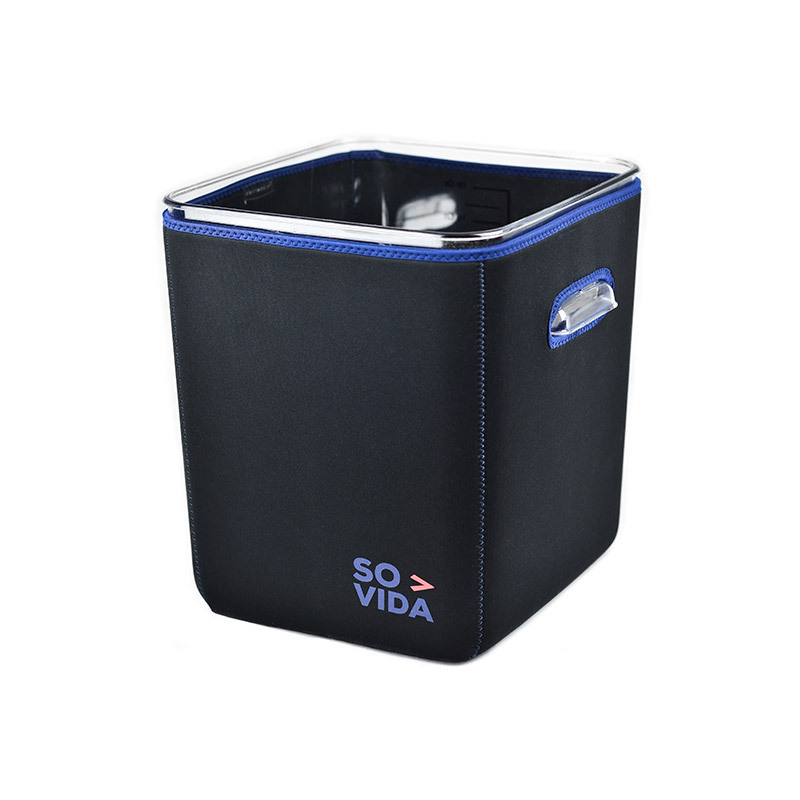 Improved insulation also means the water will reach the desired temperature faster so you can save time. 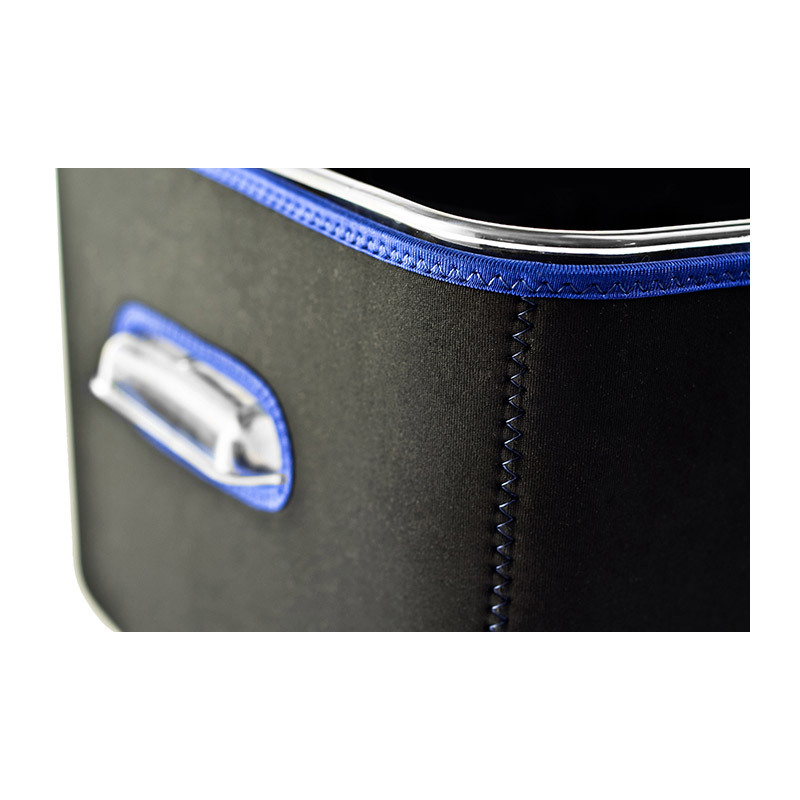 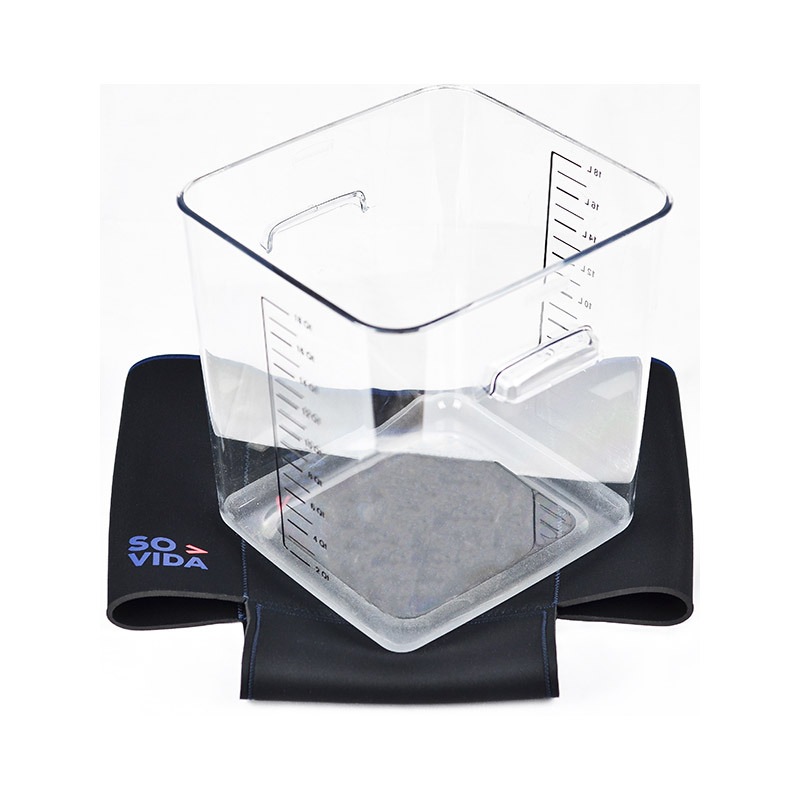 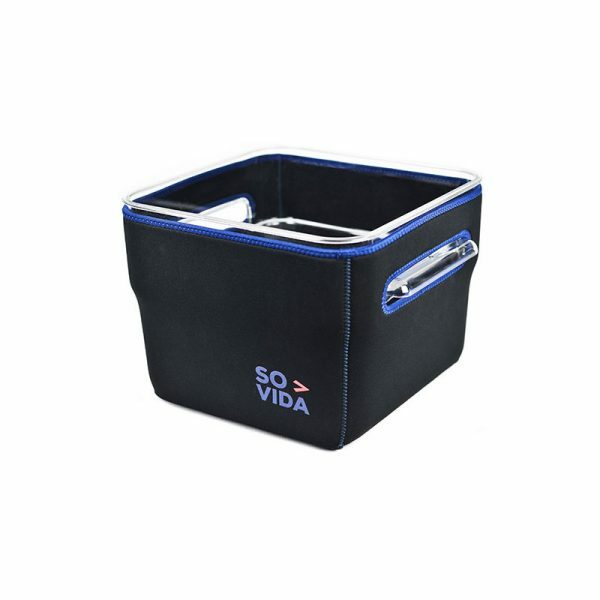 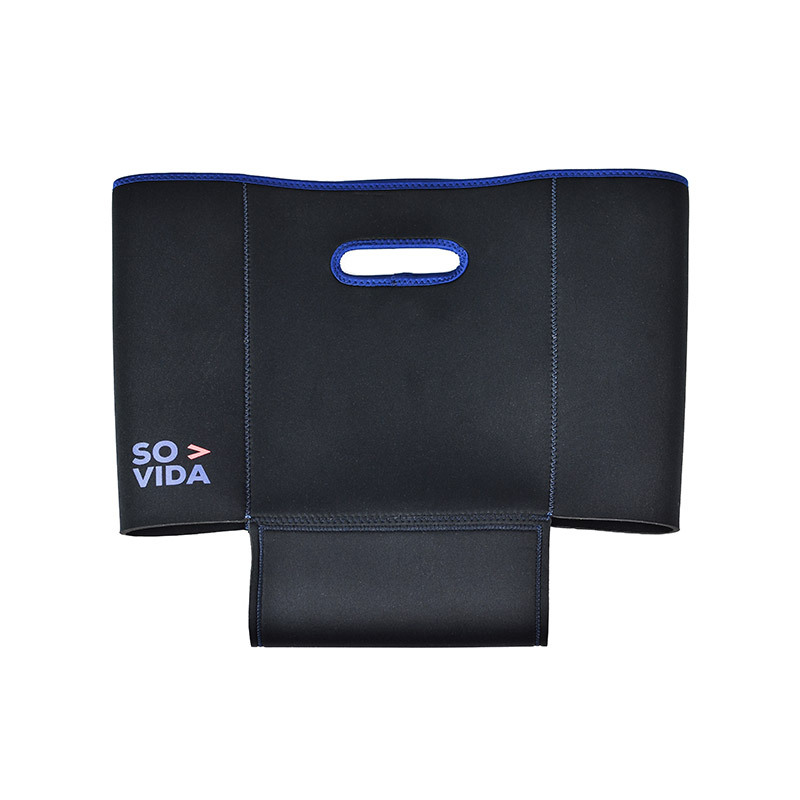 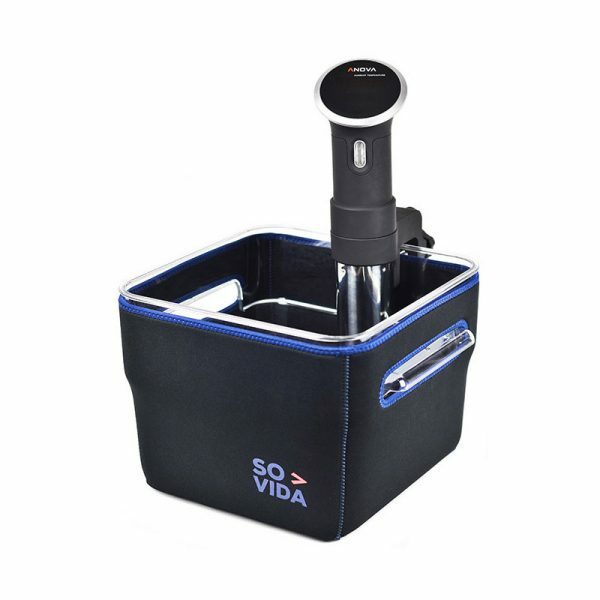 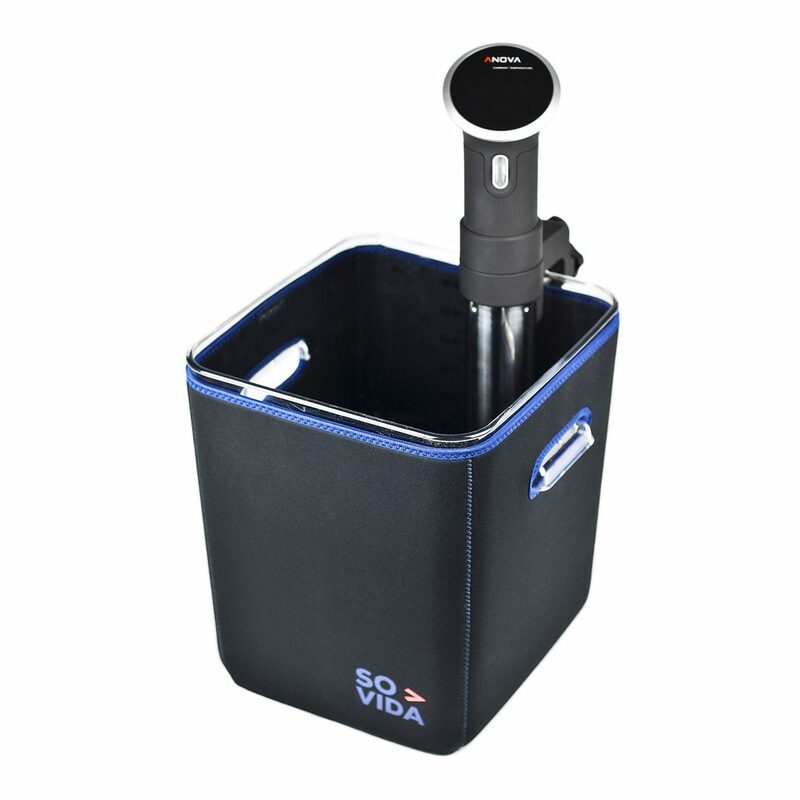 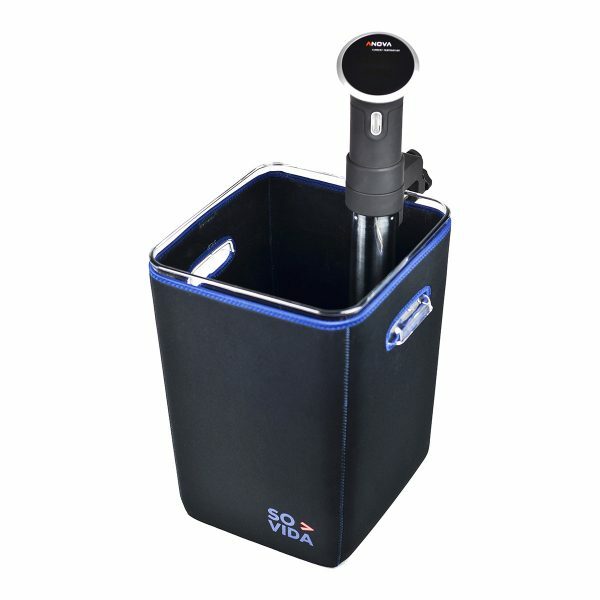 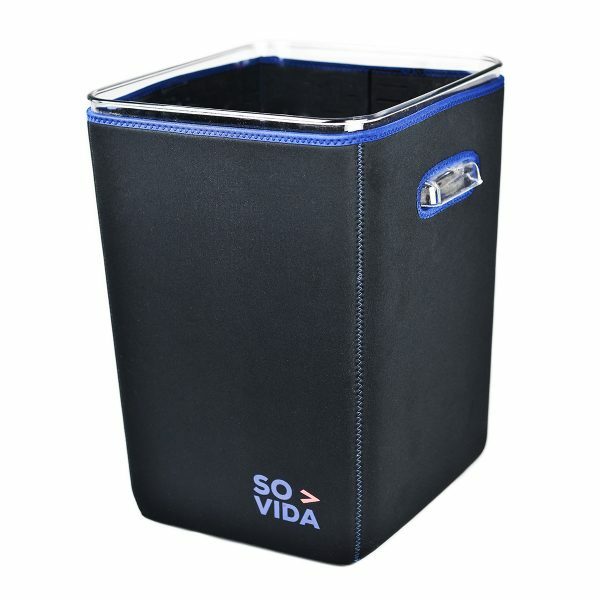 We designed the SO-VIDA Sous Vide Sleeve with its sleek black insulation and blue binding so you can be proud to have this in your kitchen instead of a plain plastic container.